Cute little teddy bear puppies for sale. Would you buy one? When looking at teddy bear puppies for sale, there are few things you need to know. This article will clue you up with everything you need to know when setting out to buy an adorable teddy bear puppy. A teddy bear puppy or dog is an fun and playful pet. Due to its small size they may be considered a "girlie" pet, but any teddy bear dog owner will tell you that they are a barrel of fun for everyone! Traditionally, a teddy bear puppy breed is made by crossing a Shih Tzu with a Bichon Frise. Due to this mixed origin, these puppies are also usually called Shichon or Zuchon puppies. Teddy bear puppies are quite popular, especially in places like Wisconsin, Conneticut, Ohio, Missouri, and Illinois. So, if you live in any of these areas, you are in luck – there are lots of teddy bear puppy breeders in these areas, as well as other sellers. While some sellers cater to a single state, others offer their services in several states. For instance, GreenfieldPuppies.com is a noted breeder of this dog variety and sells these puppies in all the states mentioned above. WisconsinPuppies.net also sells puppies in several states, including Wisconsin, Illinois, and Minnesota. This seller also providers bonus offers on each purchase such as a health guarantee and vaccination. How Much Do Teddy Bear Dogs For Sale Cost? Some teddy bear puppies will set you back more than $2000. Others will may cost you half this price. You can buy a more mature teddy bear dog or even a puppy depending on your preferences. Teddy bear puppies can may cost as little as $500. However, if you find a seller offering prices of less than this, be very careful - your beautiful new pet will likely not have had their vaccinations or they may be a different breed entirely. Buying a teddy bear puppy, as with any other pet, requires some vigilance on your part to ensure you get what you want and enjoy the expected great experience that comes with owning a lovely and exciting pet. I would suggest you always try to buy teddy bear puppies from sellers who offer extras such as vet checking, vaccination, and even some health guarantee. WisconsinPuppies.net offers all these services as the part of the package when selling you a teddy bear puppy. Consider what former customers have to say about the seller you are buying your puppy from. Consider also how your potential breeder corresponds with you and watch out for inconsistencies. Unfortunately, some sellers may not be very nice to the pets they sell. Since the way a pet is treated will reflect in their behavior, you may end up with one that doesn't play nice. You will then need to spend more energy than you expected on correctly training your new companion. When buying your teddy bear puppy from a breeder, seriously investigate the breeder and research how long the breeder has been in business. 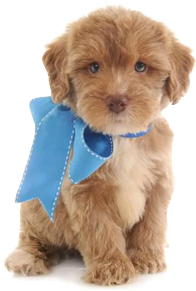 Poor breeders might be selling puppies that do not have the kind of enthusiasm you would expect to see in a teddy bear dog. Watch for the signs (and report them if you feel very sure of your perceptions!). These puppies can live for over a decade, so you should never rush the decision to buy one. There are also sellers who seem to offer a great bargain on a teddy bear puppy when in reality they are offering you a completely different dog breed. Ensure that a seller is truly offering teddy bear puppies as approved by professional bodies. This designer dog breed is recognized by organizations such as the American Canine Hybrid Club. Sites such as PuppyFind.com also offer great advice on what to look for when picking the teddy bear puppy to buy. When Is A Teddy Bear Puppy A Great Fit For You? Looking at the different characters and temperaments when choosing the right teddy bear puppy for you. A teddy bear dog is a great pet to have around your home! This mixed dog breed is smart, delightful, and quite social. This makes it a perfect house pet whether you live alone or with your family. When buying a teddy bear dog you should focus on buying one from legitimate sellers to ensure you get a great pet that will keep you happy over its lifetime.